Electro Harmonix has a wide variety of old pedals that sound awesome and totally unique but they lack some of the modern features that modern musicians have come to expect. 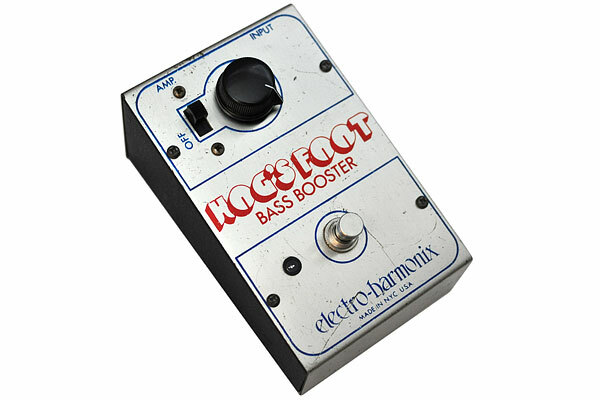 The Hog’s Foot is a unique pedal because it cranks the bass and cuts the treble as opposed to most modern boost pedals which either sound neutral or boost the treble to overdrive an amp. Some annoyances of these old pedals include a terrible sounding bypass, lack of external power supply (and no battery door at the least! ), no status LED, and the battery doesn’t even disconnect when the input plug is removed. 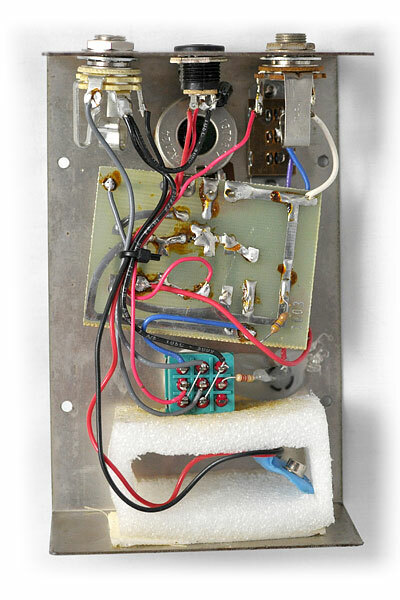 In the process of updating this pedal we removed the battery on/off switch and wired up a new input jack to switch the battery off when unplugged the way almost every pedal in the past 40 years has done it. A “Boss style” 2.1mm barrel jack was added for power options as well. The pedal was converted to true bypass and had a red LED installed next to the switch. Now that the power switch is no longer in use it would have been a shame to leave it without any purpose. The solution we came up with was to allow it to switch from a bass boost to a lower mid / bass boost. This adds a bit more low-mids for punch and helps the pedal cut through the mix if needed. The updates along with a new switch and jack should help the pedal feel at home on any modern pedalboard.